I don’t always have a photographer at my beck and call, but luckily I had an equally excited friend to have a photoshoot. One day in April we headed out to the incredibly beautiful Stanford University campus before Megan moved back to Canada, and I went on my mini vacation to Newfoundland. It was such a fun day hanging out with her, and trying different poses – and getting really excited about snagging a good shot, squealing then high fiving one another, until we realized how loud we were being. We saw a ton of those fancy lookin’ ivy league male students look out the window at us wondering WTF we were doing. That’s when we raced away, changed into another outfit and started all over again. In another location on the campus ;) You can see Megan’s photos here. I swear this part of campus was in movies. I knew I recognized these arches even before seeing them in person. But from where?? Does anyone know if it’s ever been in the hollywood movies? Megan and I snuck into one of the buildings in campus to use the bathrooms. Hey if they’re not meant to be used, they would’ve locked the main doors am I right? There, we re-applied our lipglosses, brushed our hair and talked how amazing it would be to run into James Franco. He’s from Palo Alto originally. I doubt he’d be hanging around Stanford Campus during the middle of a day at University’s year end. Never know though! Unfortunately we didn’t spot him. This area above seemed like a communal area. Surprised I snagged this shot without anyone in it. It’s the Memorial Court part of Stanford Campus. So many archways, so many pretty photo op’s. Hey, gotta keep in those awkward bloopers am I right? I crack up every time I see my hilarious facial expressions and poses. 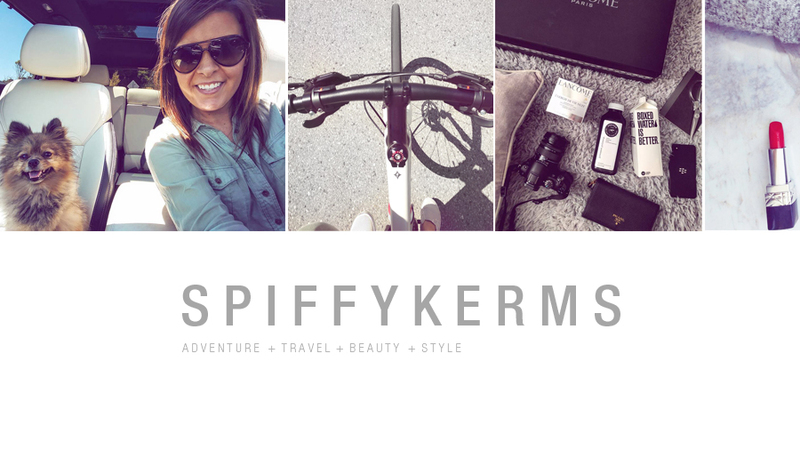 Can’t do a post talking about one of my favourite people and not include her pretty face! 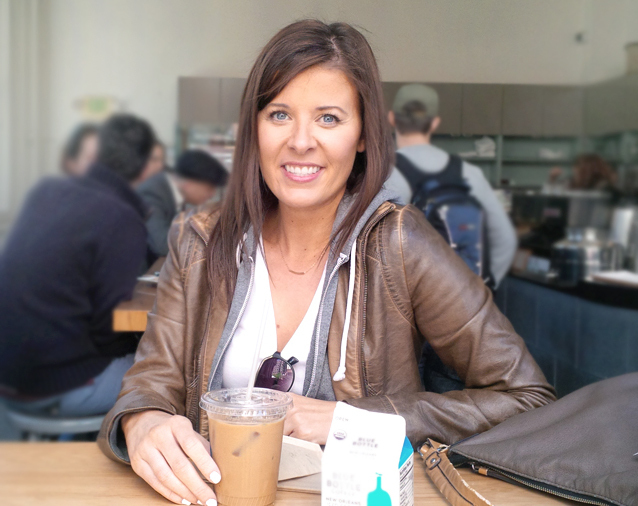 This is Megan in case you guys haven’t visited her awesome blog yet. Go go! Aw bud, thanks for the shout out! This was such a fun day, one of the highlights of my time in Cali :) I love the candid silly photos, those are always the best ones! @Megan Joy: Anytime bud!! Hugs. 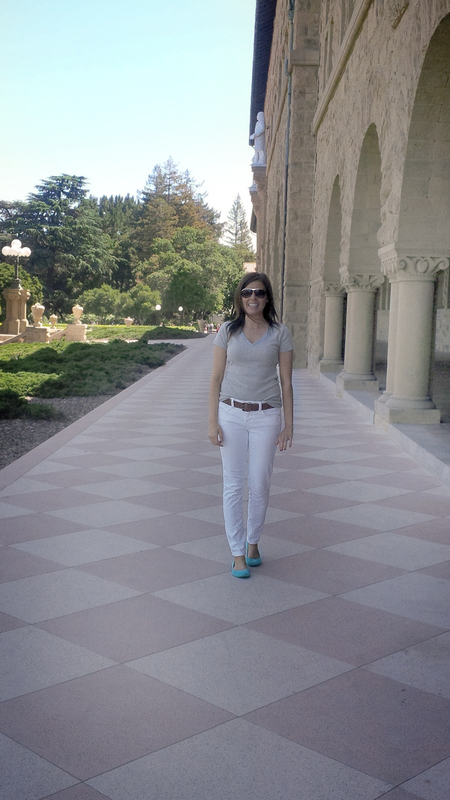 Nancy recently posted..Quiet, we’re at Stanford! I recognize those arches as well but I can’t quite put a finger on where I recognize them from! They’ve got to be from some college movie that I’ve seen! I have never heard of this college, but glad you had fun hanging out on the campus. I hang out at Harvard sometimes and love it. I’ve never actually seen Stanford before. It’s NOTHING like what I thought it would be. What a gorgeous campus! I love all these pics. I also recognize the arches but can’t place any of the movies they have been in. The university looks really amazing, I can swear that I have seen it in a movie before. Those were some really great pictures as well, you got a good photographer! 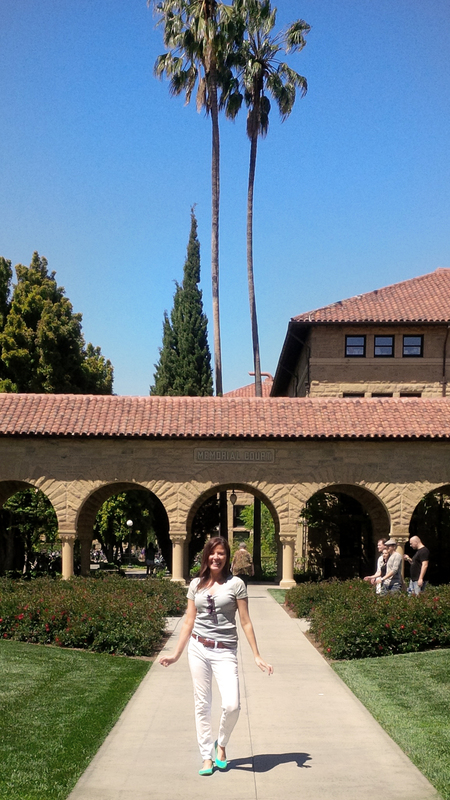 Wow, Stanford really is quite beautiful! Love your outfit, it’s really understated, except for the bright shoes. They’re so fun! They really stand out (in a great way). 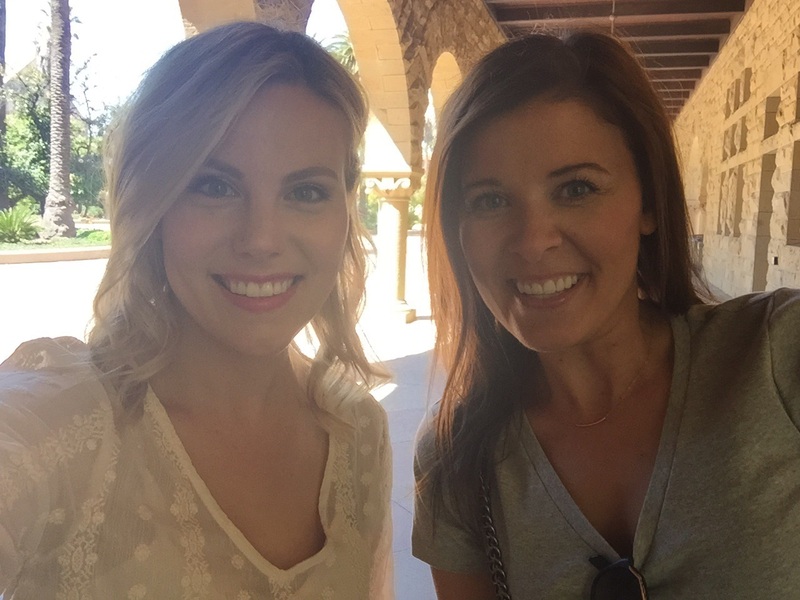 Nikki recently posted..Rock Your Girlâs Night Out with Pitch Perfect 2 & Schick! That looks like the perfect oufit for a day of roaming. I’ve been too scared to break out my white jeans. We have been having a lot of nasty rain. That outfit is so my style! Love it! We got to visit Yale…for like an hour so not much lol…but the buildings are beautiful. 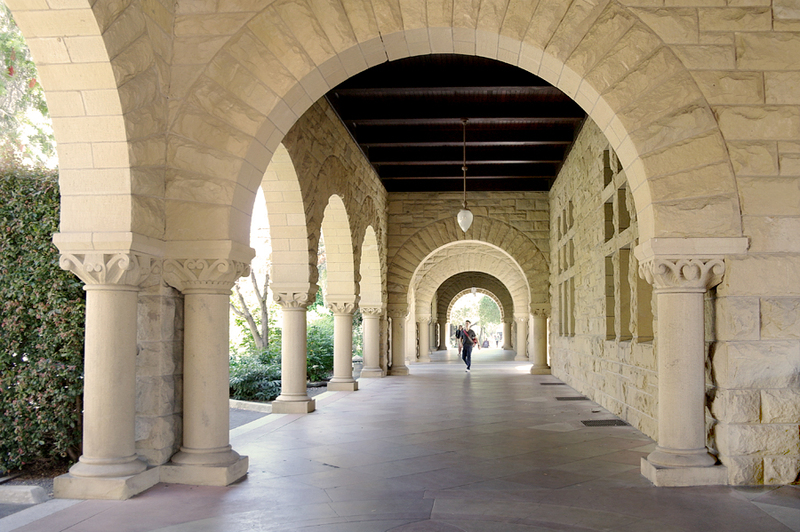 Stanford looks very pretty too! IDK if it’s been in movies, but it does look familiar. Love your photo shoot. Looks like you and your friend had a really fun time there. Such a beautiful campus. The pictures look incredible. My daughter wanted to attend but stayed closer to home. Wow great shots! That would be an amazing little trip. We see Stanford in the movies but never in person. Very cool! Also, you are photogenic and always so happy! The campus looks beautiful! 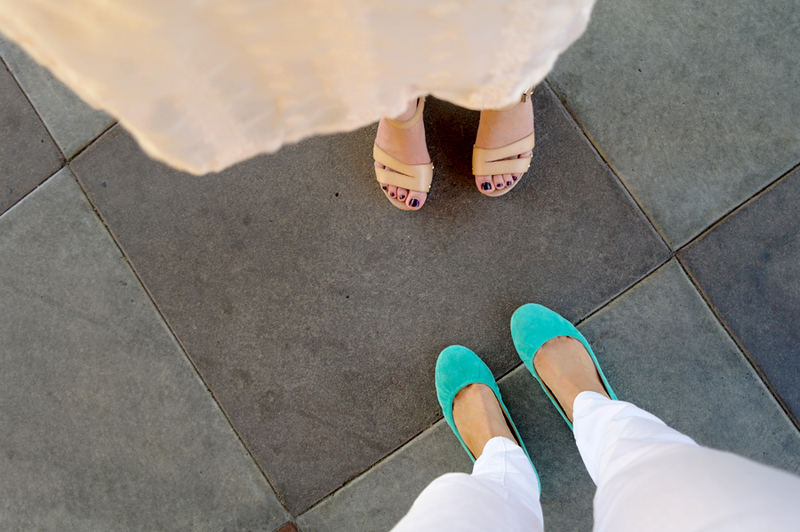 Love the flats – teal/blue is my favorite color! Need to head to JCP to try one some skinny jeans! Awe yay! One of my fave posts. (Haha, totally being biased there.) I’m so happy to hear you went and that you guys had fun! Did you get a chance to view the inside of Memorial Church? It’s gorgeous inside! If not, more reason for another visit back to Stanford! @Leslie: We didn’t! That place is like a maze… were we close at all to the Memorial Church? haha Wish I had of seen it. Next time. Wow! 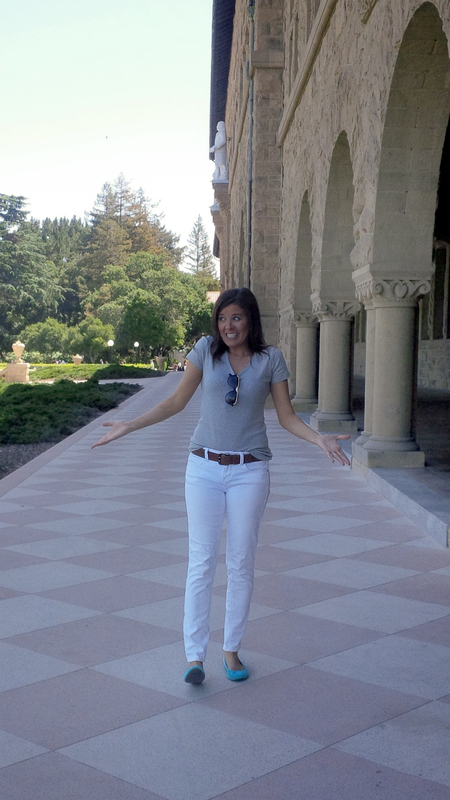 I never knew how beautiful Stanford was! I would love to see it sometime. Jacqui Odell recently posted..WINNER WINNER BANANA DINNER! Dogvills recently posted..Why Is My Dog Chewing Rocks? 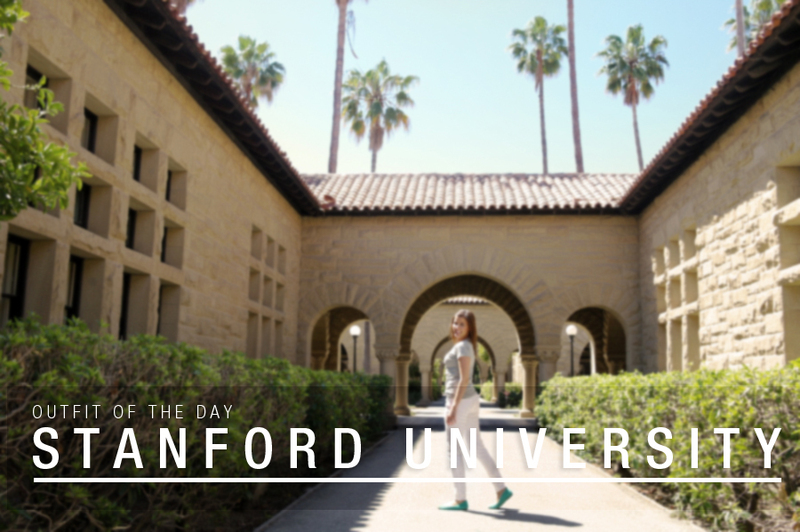 I didn’t realize how beautiful Stanford was, but wow! I can easily see why you chose that location for the backdrop of your photo shoot. HilLesha recently posted..Fashion Without Fear: Fricaine Handbags Make a Statement! 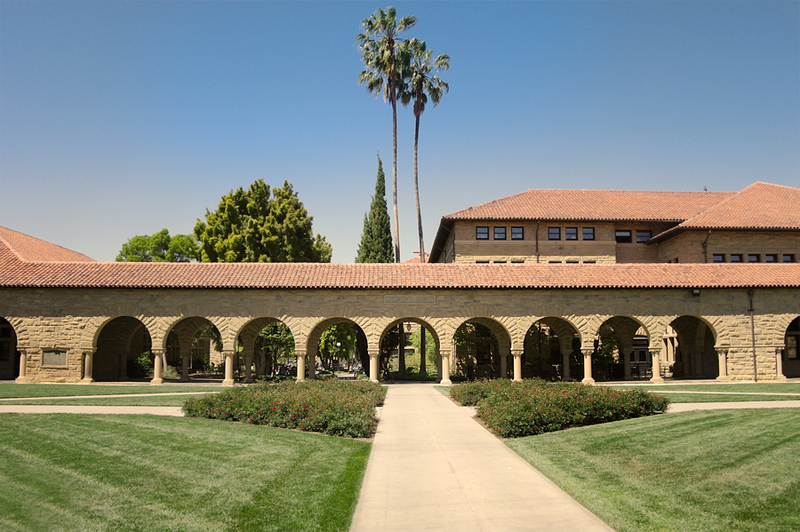 Nice…Stanford has a really beautiful campus setting. I am lovin’ those blue shoes. Looks like the two of you had a nice day there. Gorgeous campus! Now I need to go to Stanford! That’s an awesome campus. It’s not anything like I would have pictured it. Very pretty! 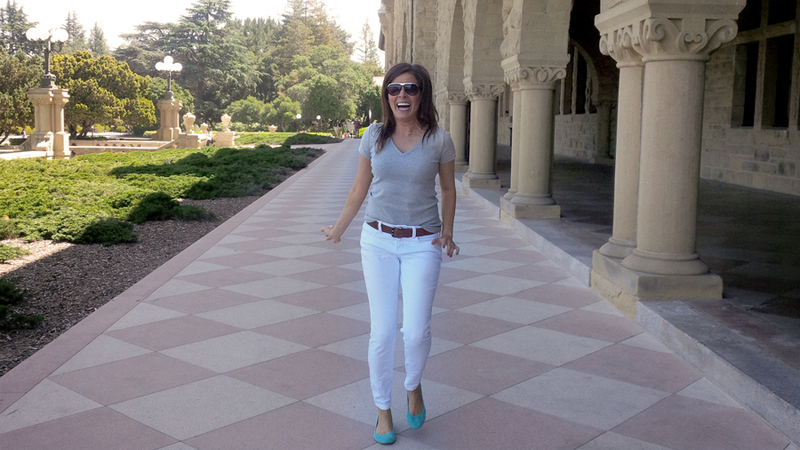 Stanford is such a beautiful place! We are very fortunate to live close by here in the San Francisco Bay Area. By the way, I had not idea that JC Penney even made skinny jeans! Looks like I’m headed over there this week to check them out for myself. I’m going to need your aqua flats asap! I know that campus is so familiar. Those arches, you are so right! I’m going to look on imdb! Oh wow! That campus is beautiful. 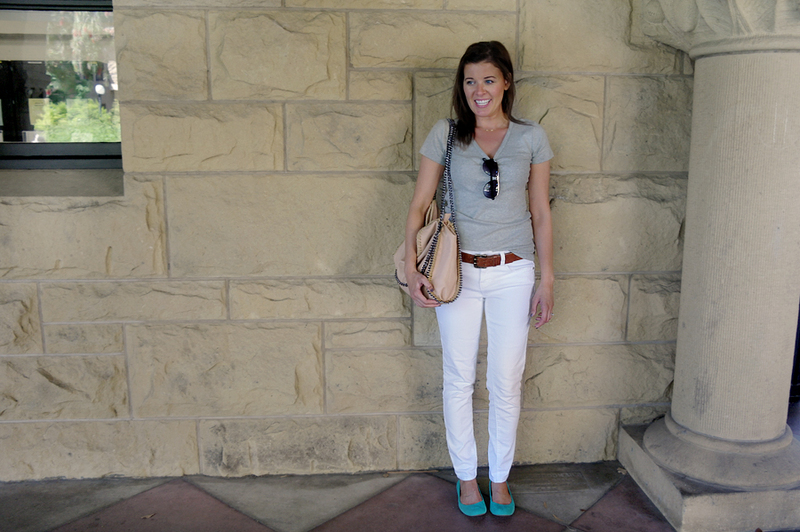 I love your outfit – your shoes are the perfect pop of color in an otherwise neutral outfit. That campus is amazing. Beats the pants off the various places I’ve gone to school.